DC Bomb Plot For Election Day Thwarted - Leftists Fear And Bully Tactics Gone Too Far? Paul Rosenfeld, a 56-year-old man, is facing charges for making a 200-pound bomb and planning to blow himself up in Washington, D.C., on Election Day. On Wednesday, FBI agents were continuing to search a home just north of New York City, where they discovered the device. Prosecutors say Rosenfeld planned to detonate the bomb in Washington, in hopes of killing himself and drawing attention to his political beliefs. According to court documents Rosenfeld sent letters and text messages to a Pennsylvania resident detailing his plan to detonate the bomb on the National Mall to draw attention to the "sortition" political system, in which government officials are randomly selected. The resident alerted the FBI and police pulled Rosenfeld over Tuesday. Rosenfeld waived his Miranda rights and admitted his plan, telling agents he ordered large quantities of "black powder" online and built small test explosives before building the 200-pound explosive device in a plywood box in his basement. Rosenfeld said, “he installed certain components in the device to ensure that he was killed in the blast”. On Wednesday, FBI technicians transferred the bomb to a safe location. FBI Director Christopher Wray said his agents are investigating about 1,000 homegrown terror threats in all 50 states. The FBI says they do not believe Rosenfeld is part of any larger terrorist organization. He faces up to 20 years in prison if convicted. 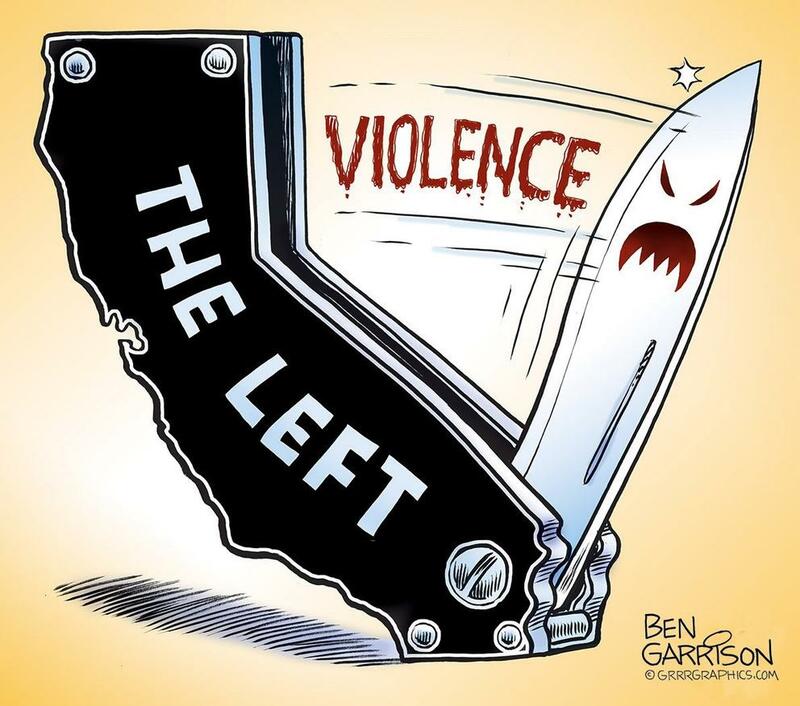 The Democrats have become nothing short of an angry, violent mob that is almost robotic, in that they can’t think for themselves. They play follow the leader and obey instructions from the “leader” of the “pack”. The largest problem with this is that the leaders are dangerous and do not have our country’s best interests at heart. The only interest is in taking down Trump. Could all these fear and bullying tactics have gone too far? Hillary Clinton said, “you can’t be civil with a political party that wants to destroy what you stand for”. So if we don’t stand for her ideology then there is no civility. Conservatives, we have to get out and vote. This is beginning to be beyond scary. If the liberals take over, what will this country look like in two more years? I don’t even want to think about that. At this point, I would have to say the entire left should be classed as a terror threat. The Democratic Party should be labeled as a terrorist organization by the Department of Homeland Security. The democrats have manchurian candidated themselves. The suicide bombing tactic has been utilized by our enemies, communists and muslims, two facets of sub-human unAmericana embraced and pedestalled by the democratic party. Holder’s trigger statement, “kick’em” probably was used to activate several more Rosenfelds.
" ordered large quantities of black powder online"
Heads up to all Black Powder Shooters . Place your orders now because you can expect the Liberal (Reds) to start making demands for new firearm related restrictions. All to deflect from the news the BOMBER was one of theirs. I wonder if a Liberal (Red) will step up and demand Plywood purchases be controlled? After all they think Islands can tip over and if you put No Gun Zone signs all robberies and school shooting will stop. The Democrat Party has become a Domestic Terror group. Great article Lexy. Thank you Lexy.. Another great article that highlights how dangerous the Left/Liberals/Democrats have become. There is not an ounce of sanity in this SOROS funded war on America.. Vote as if your life and country depends on it because that is exactly what is at stake.. If this doesn’t convince people the Left is too crazy to Govern, nothing will. What a bunch of animals they have become. Thank you for getting this info out to the people. We all know the MSM buries anything that looks bad for the Left.